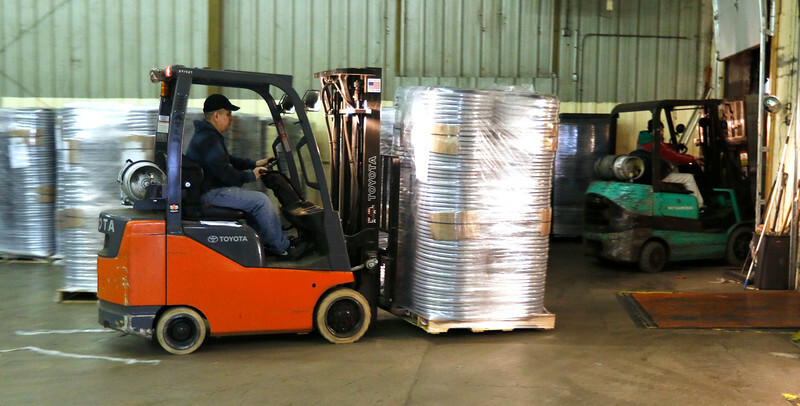 H. Rick Bamman - hbamman@shawmedia.com Containers International workers load and unload semi-trucks at the company's facility at 176 W. Terra Cotta Ave. in Crystal Lake on Monday, Feb. 29, 2016. The plastics manufacturer currently located in Palatine gradually will transition its operation into Crystal Lake, bringing between 150 and 200 new jobs to the city. H. Rick Bamman - hbamman@shawmedia.com Semi-trucks stage in the Containers International lot at 176 W. Terra Cotta Ave. in Crystal Lake. The plastics manufacturer in Palatine gradually will transition its operation into Crystal Lake, bringing between 150 and 200 new jobs to the city. 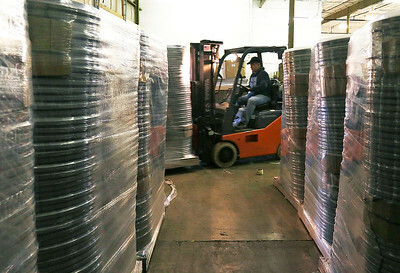 H. Rick Bamman - hbamman@shawmedia.com A Containers International employee loads plastic gaskets into a semi-truck at 176 W. Terra Cotta Ave. in Crystal Lake on Monday, Feb. 29. The plastics manufacturer is reloacting from Palatine bringing between 150 and 200 new jobs to the city. 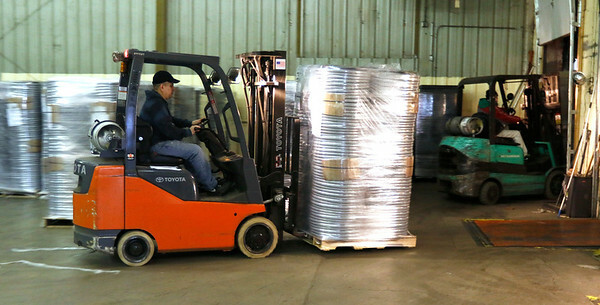 Containers International workers load and unload semi-trucks at the company's facility at 176 W. Terra Cotta Ave. in Crystal Lake on Monday, Feb. 29, 2016. The plastics manufacturer currently located in Palatine gradually will transition its operation into Crystal Lake, bringing between 150 and 200 new jobs to the city.